While Lionsgate has confirmed that ‘The Hunger Games’ trailer will indeed be attached to ‘Twilight: Breaking Dawn Part 1’, this may differ for other countries. Thus, we have decided to reach out to Cathay Cineplexes and they confirmed that ‘The Hunger Games’ trailer will indeed be attached to ‘Twilight: Breaking Dawn Part 1’. However, it is unclear if the trailer in question is the teaser trailer or the full trailer that was released 4 days ago. If you do happen to watch ‘Twilight: Breaking Dawn Part 1’ in cinemas, do tell us if you do happen to see ‘The Hunger Games’ trailer before it and also, which trailer was it in the comments or on Twitter (@HungerGamesSG) or on Facebook! Fans has waiting…waiting…and even more waiting for ‘The Hunger Games’ full trailer ever since Lionsgate revealed the teaser trailer on MTV VMA 2011. Previously, we have also mentioned we heard rumors of ‘The Hunger Games’ full trailer will be revealed on November 18, 2011. Well now, looks like the release of ‘The Hunger Games’ full trailer is not far in sight for Government of Alberta showed that second trailer for ‘The Hunger Games’ was submitted on 3rd of November and it has a rating of ‘G’ with a running time of 2:30 minutes. Interestingly, ‘Journey 2: The Mysterious Island’ which stars Josh Hutcherson, who also plays Peeta Mellark in ‘The Hunger Games’, also submitted the first trailer on November 3rd with a rating of ‘G’. However, it has a shorter running time than ‘The Hunger Games’ second trailer at only 2:25 miniutes. 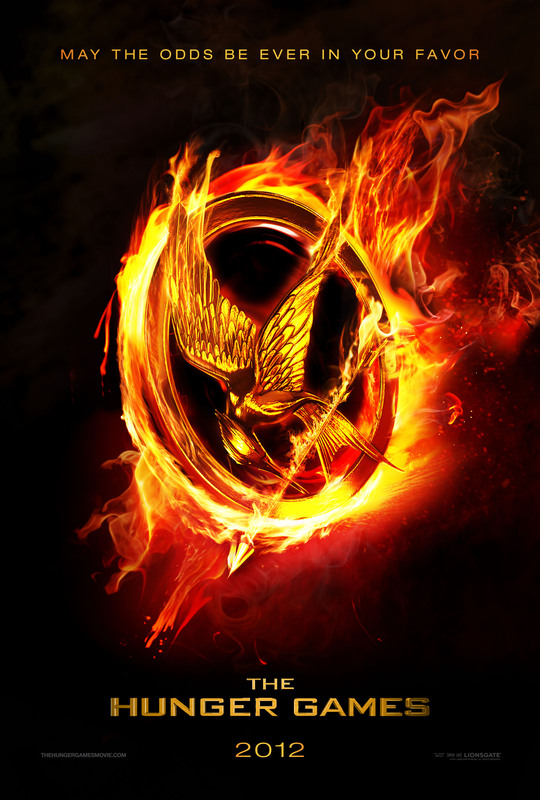 If the rumor is right, then expect to see ‘The Hunger Games’ full trailer to make its debut on November 18, 2011! Source: Government of Alberta via The Hob. When Lionsgate ‘Abduction’, starring Taylor Lautner, Lily Collins and Alfred Molina, was released back in 22 September 2011, feedback from various Hunger Games in USA confirmed that ‘The Hunger Games’ teaser trailer shown during MTV VMA was indeed attached to ‘Abduction’. However, though it is unsure if ‘The Hunger Games’ teaser trailer is shown before the movie screening of ‘Abduction’ in Singapore, we assumed this should be true for here too. It appears not that ‘The Hunger Games’ teaser trailer is not only showing before ‘Abduction’, but also before Jackie Chan’s 100th movie, 1911, as told by one of our readers who went to watch it in Cathay Cineleisure Orchard. Perhaps ‘The Hunger Games’ teaser trailer is shown before all movies that are screening in Cathay Cineplexes? This is an exciting possibility indeed with all the audiences exposed to the teaser trailer. Perhaps some will actually be curious enough to search about it online when they return home. If you had seen ‘The Hunger Games’ teaser trailer being shown before movies besides ‘Abduction’ and ‘1911’ and in cinemas besides Cathay Cineplexes, feel free to leave a comment below, email us at hungergamessingapore@gmail.com, or leave us a tweet on Twitter or leave a comment on our Facebook page! Many besides being interested in the actual footage from “The Hunger Games” teaser trailer that made its debut on August 29 SGT, were curious about the music in “The Hunger Games” teaser trailer. Was it composed Danny Elfman and T. Bone Burnett? Many thanks to Twitter user @MlleNouveau, it appears that the music used in “The Hunger Games” teaser trailer was composed by Michael David Nielsen back in October 2010. Sources: @MlleNouveau via The Hob. 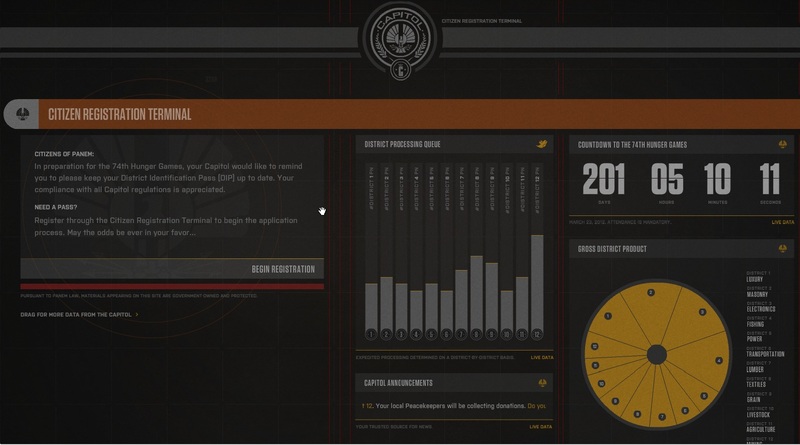 TheCapitol.PN: Hunger Games Viral Site By Lionsgate Is Now Live! While fans are buzzing about “The Hunger Games” teaser trailer that was released on Monday, Lionsgate is certainly stepping out their promotion for “The Hunger Games” movie by attaching the hash tag “#WHATSMYDISTRICT” to the end of “The Hunger Games” teaser trailer as shown below. As time passed by, the moving image slowly gets less blurred and the Capitol seal is revealed today. 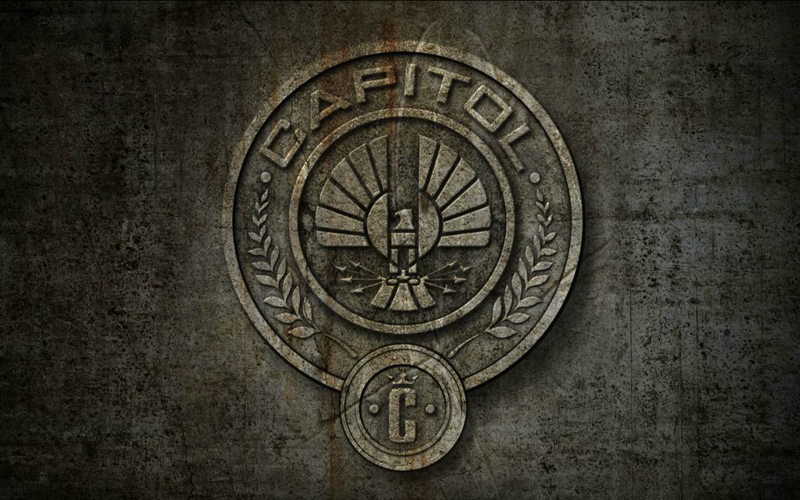 Click on the Capitol Seal to enter. The Capitol Seal will sink in and rotate before you are entered into the website where you can register by connecting to either your Twitter or Facebook account and also entering your email. You should have your sound on as you are entered into the Capitol website for better experience. Have fun and may the odds be ever in your favour! After much teasing from MTV, the first ever “The Hunger Games” teaser trailer made its debut on MTV VMA 2011 on August 29 SGT. In case you had missed it (or if you just want to re-watch it again), Lionsgate has uploaded it on YouTube so check out the video in full HD after the jump! What do you think of it? Please remember this is only a teaser trailer and its job is to well, to tease people. Now that teaser trailer is released, the countdown for full trailer begins. When do you think the full trailer will be released? Andrew Sims over at hypable.com has a theory about how “The Hunger Games” full trailer might be attached to “Abduction”, which features Twilight star Taylor Lautner will be released in US on September 23, 2011 and in Singapore on September 22, 2011. Considering Gary Ross has confirmed they are aiming for a PG-13 rating for “The Hunger Games” movie in an interview with Entertainment Weekly, “The Hunger Games” will be targeting at the same age demographics as “Twilight” because this is the market that made “The Hunger Games” trilogy the success it is now. Of course, this is all guessing games and rumors for now until we hear an official word from Lionsgate. Sure, it’s not the most exciting or sexiest moment of Suzanne Collins’ trilogy (and we’ve already gotten a small taste thanks to that production still featuring Liam Hemsworth), but there’s no denying this pivotal moment sets the stage for everything that follows. Context. Context. Context. Do check out the article at Hollywood Crush to see what’s their next 4 must-see scenes and their explanations for it! Last but not least, did you catch Rue’s four note whistle at the end of the teaser trailer above? It sounds so hauntingly beautiful doesn’t it? Would you like to have it? Lionsgate has included the six seconds audio “Mockingjay Call” for free download on Facebook here. It’s perfect as a SMS ring tone! Do check it out and don’t forget to follow us on Twitter! On Monday, 9AM SGT, the first Hunger Games Teaser Trailer will be released during the 2011 MTV Video Music Awards. Today, a promotional clip just surfaced on Tumblr via CountryRoadTake-MeHome. Are you all pumped up for Monday? I am! Don’t worry if you missed it, I’ll be tweeting or posting about it during the event!